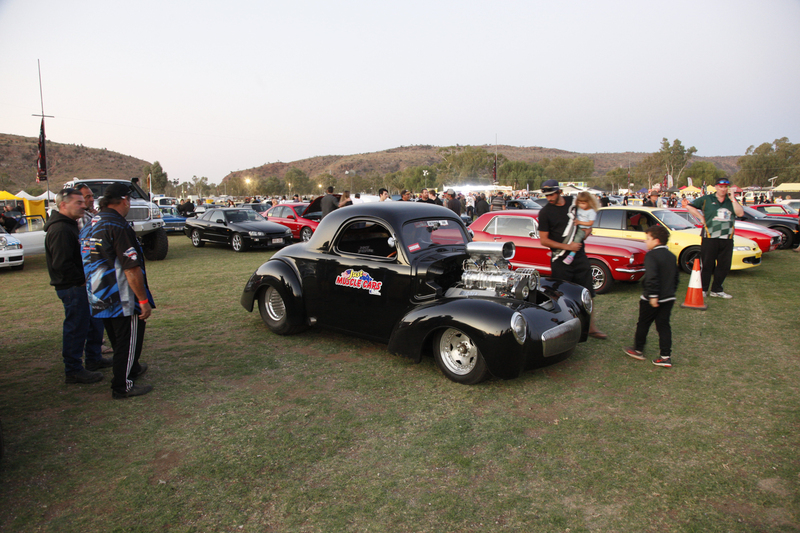 RED CentreNATS kicked off in fine style yesterday, with some 300 street machines, hot rods and borderline drag cars cruising through the main drag of Alice Springs. 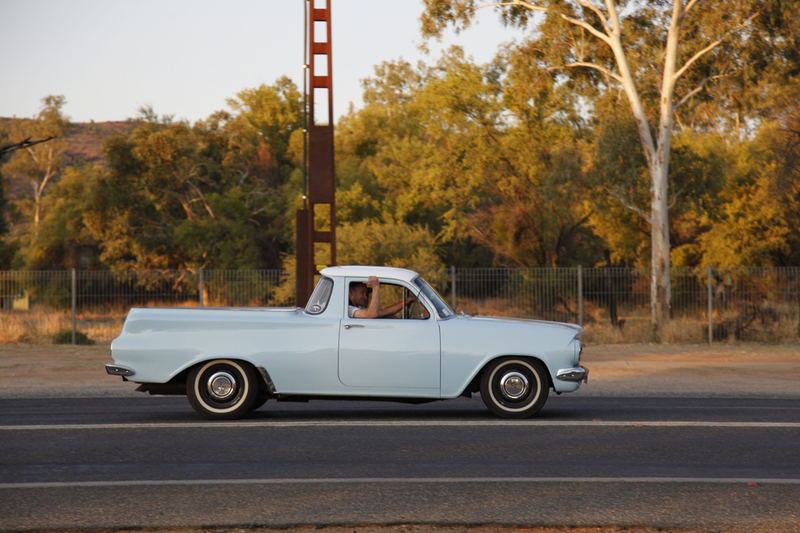 The townsfolk turned out in force, lining the route from one end of town to the other in scenes reminiscent of the early days of the Street Machine Summernats. Some sat on the back of utes and trucks, others brought their own couches, but everyone was pumped. 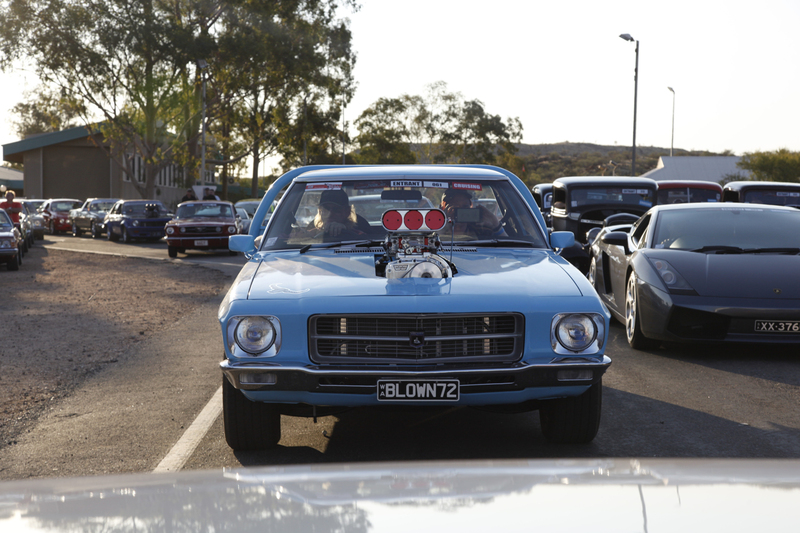 Special permits issued by the local authorities enabled blown, tubbed and tunnel-rammed toughies to participate in the street cruising elements of Red CentreNats. What a hoot! 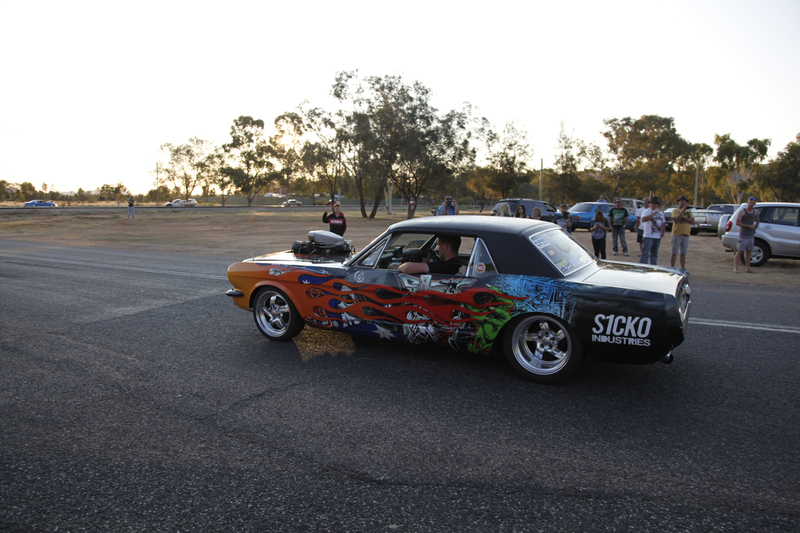 Plenty of the heavyweight burnout competitors joined in the cruise, including Gary and Jake Myers in S1CKO. 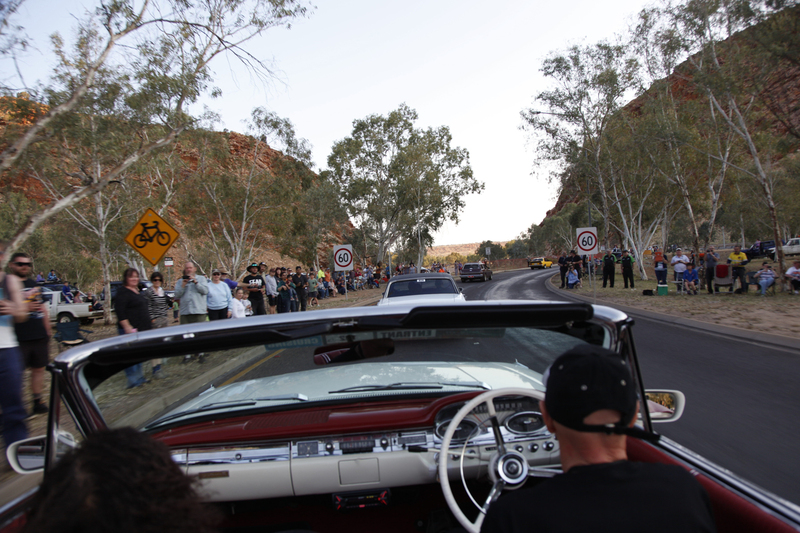 We hitched a ride in a convertible Ford Galaxy for the Street Cruise. Perfect! 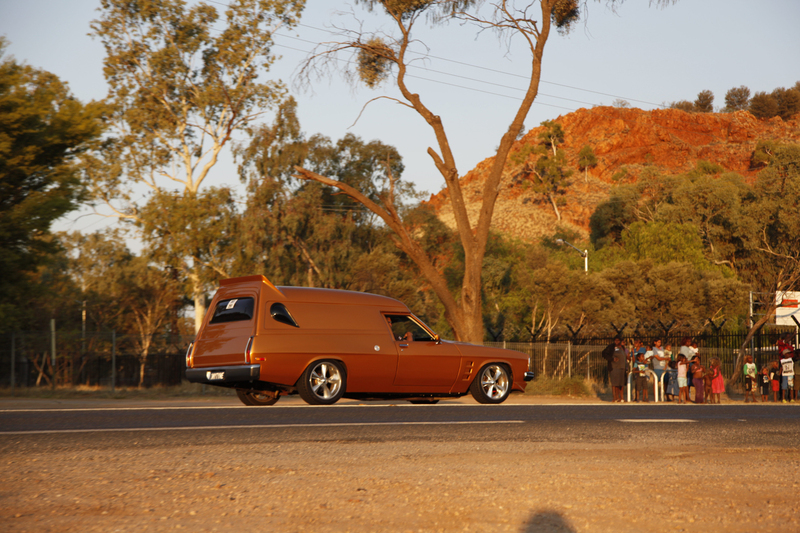 It is always great to see historic street machines like Brian Willis’s HK Monaro being put to good use. 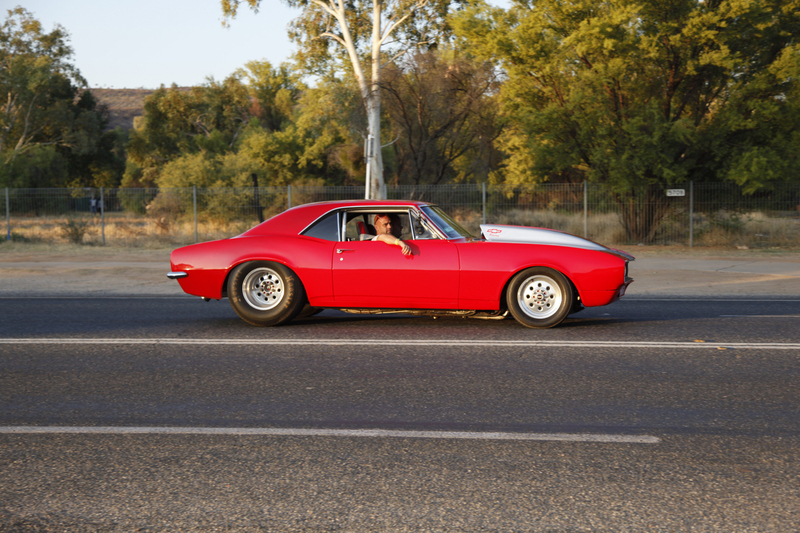 Nothing better than fat-arming it in a Pro Street Camaro. 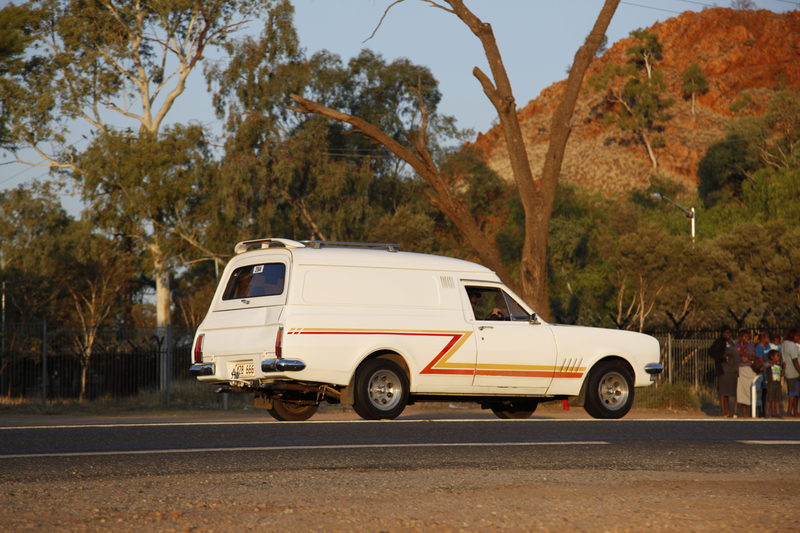 Brad and Raylea Thomson’s killer HX Holden van is over from Charters Towners in Queensland for Red CentreNats. What stories this old girl could tell! 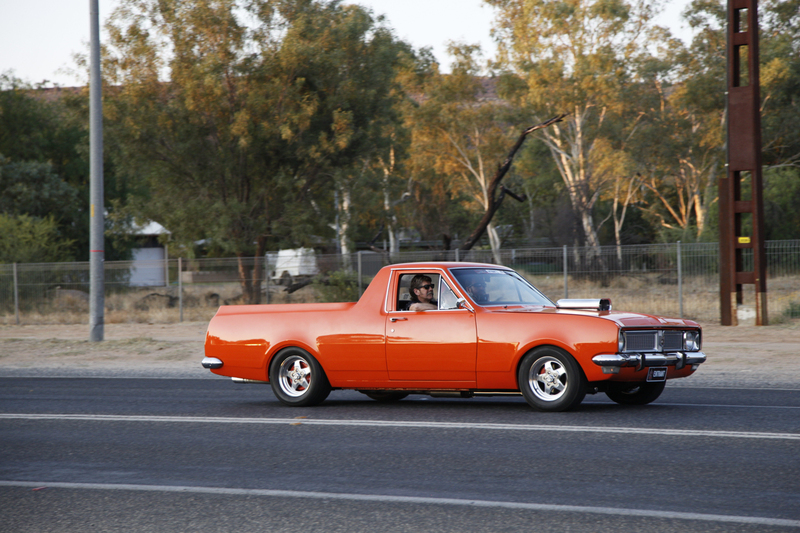 Peter Hondow’s HG ute is a super-sanitary thing. 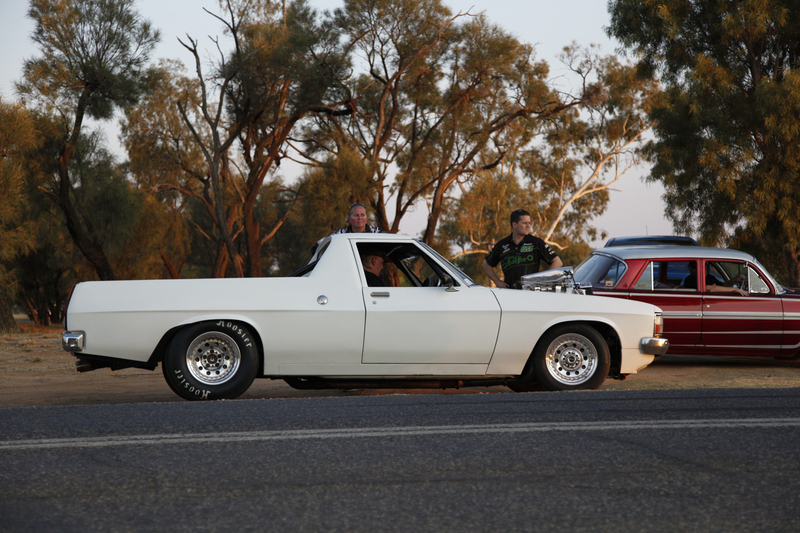 Check out the engine bay if you are in Alice for the show. Dodgy Bruce doing what he does best. 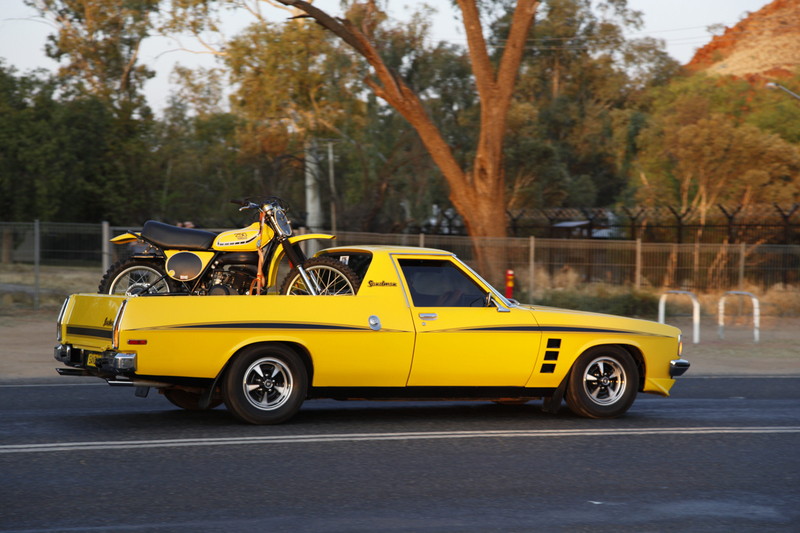 Alice Springs local Jason Edwards and his killer HX Sandman ute, with matching Yamaha dirt bike. Not everyone made it back to the event HQ at Blatherskite Park, but luckily this one was only out of fuel. After the cruise, there was a neat car show at sunset. 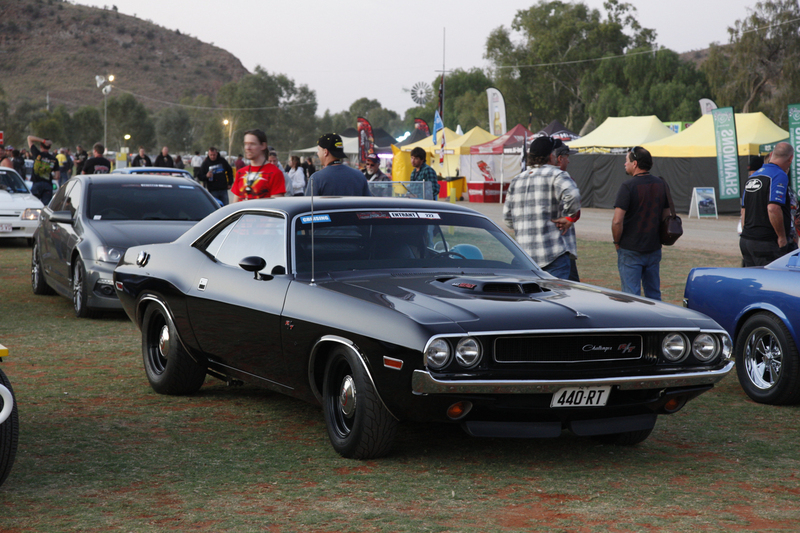 This is Kevin Hinnen’s ‘70 Dodge Challenger R/T, complete with 440, six pack and four-speed, all the way from Humpty Do, near Darwin. 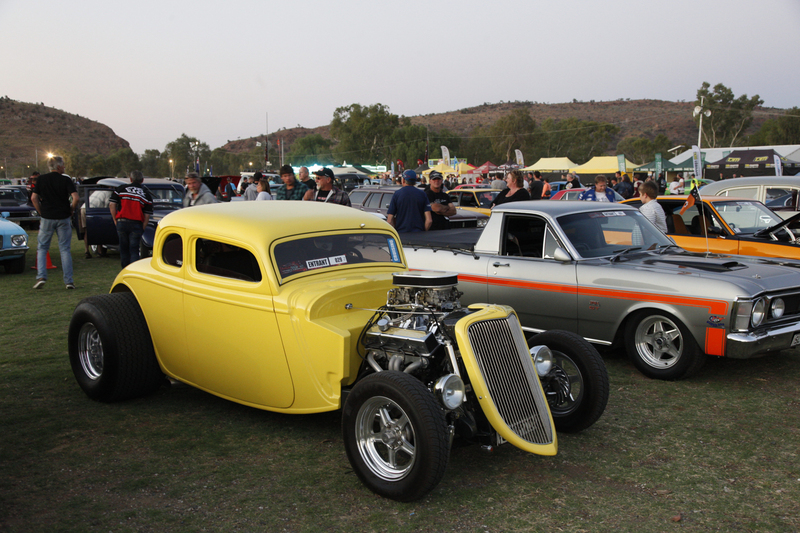 This monster ’34 coupe has been a hot rod since the 1950s and is now rocking a tough Pro Street style. 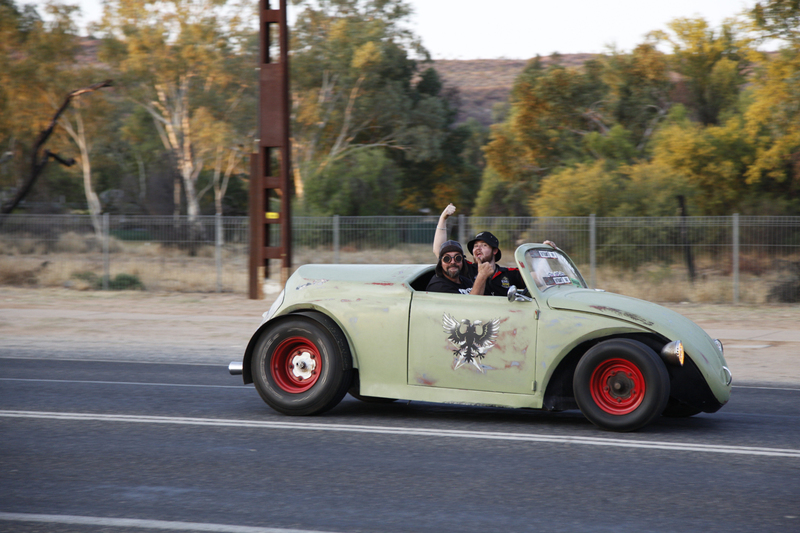 This evil Pro Street Willys was a star of the Street Cruise, bringing up the rear of the field to the delight of the thousands who turned out to watch. 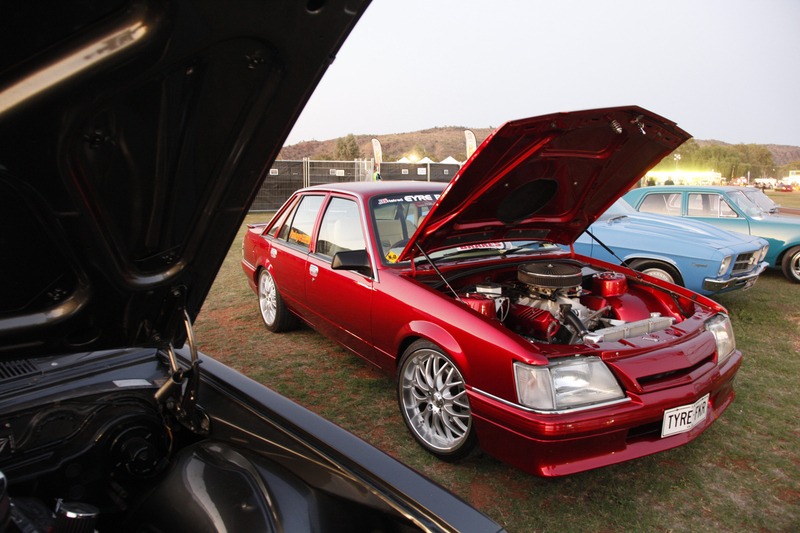 Steven Schultz brought his stunning candy apple red VK Commodore up from Port Lincoln in South Oz. Believe it or not, this is what he calls a skid car! 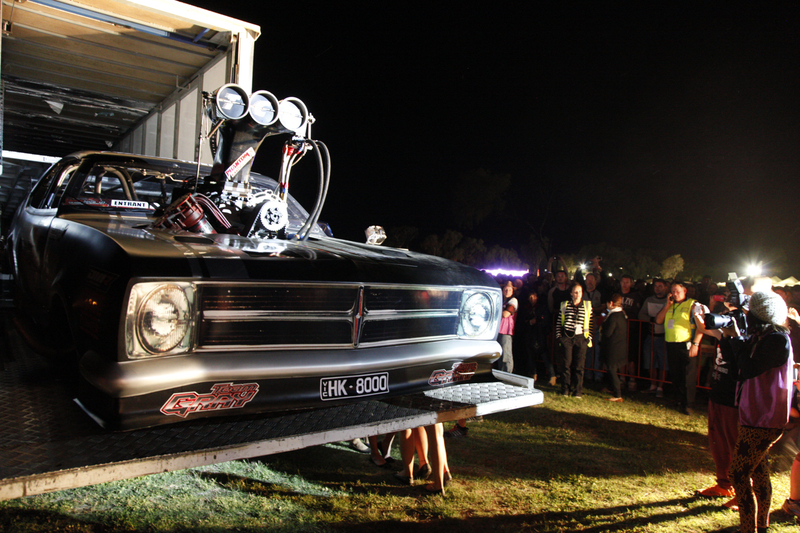 After dark, we were treated to a rock concert and got our first look at Peter Gray’s new Top Fuel-powered HK Monaro burnout car. Not a bad first day!